If you have problem pipes or blocked drains at your Sydney home or business, jet blasting may be the best the drainage solutions out there. Jet blasting pressurises the water, meaning less water is used to clean pipes or surfaces than an ordinary hose, while at the same time being much more effective. High pressure water blasting is suitable for clearing most blocked drains for both domestic and commercial properties. We’ve listed the top situations where jet blasting can save you from a plumbing disaster. What Is A Jet Blaster? Jet blaster equipment typically includes a large water tank with a hose attached to it. This hose is capable of withstanding extremely high pressures of water, and is specially designed to clean out any accessible openings that have pipes. Water is pumped through the pipe at such a high pressure, ensuring your drain is free from unwanted debris. Mildew Build Up: A mildew build up around the house is not uncommon. It is unsightly, omits a rather unpleasant odour, and is usually too tough to remove with everyday household cleaning products. Having a residential plumbing team apply the jet blaster can make light work of removing it, while keeping water consumption at a minimum. Oil Blockage: In more large industrial applications, jet blasting is a favourite among oil producers as a way of keeping pipes clean and production increasing. The oil is no match for the high pressure water jetting, flushing the pipeline clear. 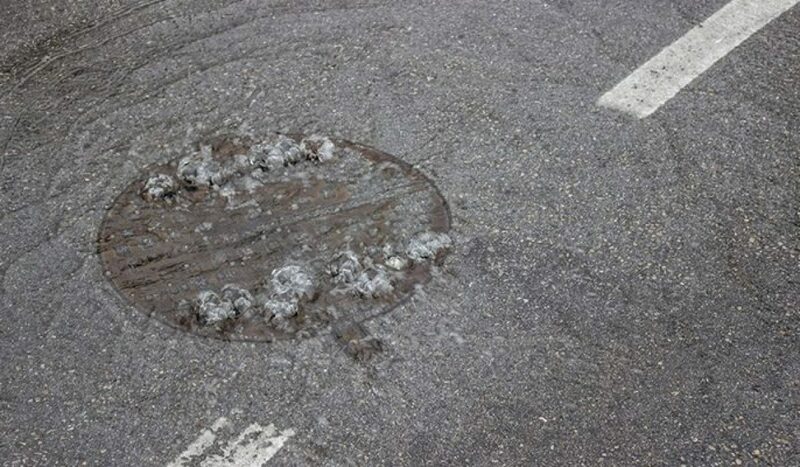 Cement Sludge: One of the stickiest substances to remove from drains and pipes, cement sludge is difficult to remove with traditional drain clearing products and techniques. The power of a jet blaster is the most efficient way to flush it from the area without damaging the drain and surrounding environment. Tree Roots: Tree root ability to damage drains used to mean a lot more fuss than it does now. Our plumbers will use the high-powered water jet blasting to breakdown and flush away tree roots without causing further damage to your pipes. All of this can be done without the need for costly or time-consuming excavations. Silt and Rocks: Silt and rock deposits can form in drains over time and are extremely difficult to remove. Dust, rock and sand can all easily be washed into drains from roofs and concrete, sticking together to create a solid mass that cannot be shifted by rainwater alone. As the mass grows, a blockage is then formed in the drain, creating the potential for flooding and serious damage to your drains. Jet blasting can quickly break down this mass to return your drain to working order. Whether the drain in your home needs unblocking, or your large commercial property plumbing is experiencing drain difficulties, rest assured your drain will be unblocked when jet blasting is used. Plumbing Central’s main focus is jet blasting so contact us or call us on 0410 011 999 if you need high pressure jet blasting today. From Roselands to Bankstown, Revesby, Peakhurst and Hurstville, we are the plumbing experts.